One of the most reinvigorating things that any adult can do is to say yes to change; and if you want to change how Low T is sapping your lifestyle of its energy and satisfaction, you can – with the help of a qualified hormone therapy doctor. But do you really know how your testosterone cypionate results could change things for you? It is wise to learn the medical facts regarding what to expect from your treatment program before you jump right into it with unrealistic or even completely false expectations. Your expectations of how TRT (testosterone replacement therapy) could improve both your health and your lifestyle are typically going to be based on the quality of the information that you have obtained – and its quality will ultimately depend on its source. If your information is primarily derived from bodybuilding blogs or websites, it will be coming from only one narrow perspective; and you can be quite certain that it is not going to be based on the medical point of view. From the medical perspective, TRT is a treatment that can enhance your health, longevity and lifestyle satisfaction when used appropriately to eliminate your Low T symptoms. From the bodybuilding point of view, using testosterone injections (often obtained illegally and without medical authorization) is all about visible results in gaining muscle mass; whether those results are harmful to health is not a top consideration of those who do this. However, for men who are not trying to resemble Arnold Schwarzeneggar in his physical prime but simply want to change their health, vitality and sexual vigor for the better, the testosterone cypionate results that can be produced by a medically indicated and supervised TRT program are the results that you will want to learn more about. 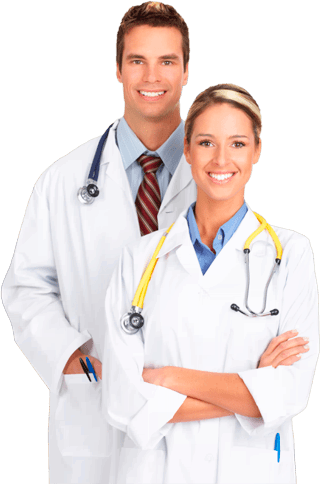 And the best way to learn what those are is from the doctors who prescribe them for Low T patients every day of their professional life, like the doctors at Nexel Medical do for adults living all across the US who qualify for using this medical treatment. If there is one area where the medical and bodybuilding perspectives on testosterone cypionate results converge it would have to be the increases in muscle mass it produces. But where this is the primary focus of bodybuilders, it is only one of the many therapeutic results that TRT doctors want to see in their patients. Doctors know that testosterone loss causes a myriad of detrimental health issues to develop, including the progressive loss of muscle tone and mass. Yet they also know that having an inadequate male hormone supply leads to the loss of energy and stamina; the loss of sexual desire and the ability to sexually perform; the loss of bone density; the loss of healthy metabolic function; the loss of emotional stability; and can even contribute to cognitive decline. These are the health problems that TRT doctors are concerned with resolving for their patients. So in providing medical resolution, experienced hormone replacement therapy doctors have followed the results of clinical trials, ongoing medical research and the actual results of decades of TRT patients in order to provide their Low T patients with a realistic picture of what their testosterone cypionate results could be. Because it is one of the most established forms of remedial treatment for male hormone deficiency, it has a proven and traceable record of positive results in men of all ages. And because it is one of the longest lasting forms of treatment that a patient can use, it requires the fewest injections in order to gain those results. Injectable testosterone cypionate is one of the most widely prescribed forms of injectable treatment for Low T in the US and it is because of its consistent record of providing men with results that have been gained effectively but also safely. This is why the doctors at Nexel Medical prescribe it so often for our patients; and it is also why we want adults who are considering its use to be confident but also realistic about what it can do for them. Having a doctor who is experienced in the successful treatment of testosterone deficiency is one of the major factors that will determine the outcome of your treatment. All licensed physicians are legally allowed to prescribe medical treatments for Low T; but not all of them have the same level of expertise in the diagnosis and treatment of this increasingly common hormone disorder. So it logically follows that a doctor who is inexperienced in testing, diagnosing and treating patients who have Low T symptoms will probably not be as helpful to patients in achieving their best testosterone cypionate results. This is why many adults have been going online to find the types of TRT specialists that are not available to them in their local areas – and this is where many of them are finding Nexel Medical. Our doctors have many years of specific training and experience in the treatment of adult-onset hormone disorders such as testosterone and growth hormone deficiency. So they know what works well and what doesn’t work, as well. Many of the doctors at Nexel Medical are themselves patients using a testosterone replacement therapy program, which means that they have first-hand knowledge of how a TRT program will progress for their patients. But because they have treated so many other adults for the same condition, they also know that every person is going to respond in their own individual way. So our patients receive individualized attention to their unique therapeutic needs as well as comprehensive attention to their overall condition of health. We do not want our patients to be so focused on their testosterone cypionate results that they overlook the need to use treatment in a responsible and health-conscious manner – because what good are excessively large muscles if you are harming your health and reducing your longevity in order to maintain them? You can get healthy results from your TRT program by having it prescribed and managed by a doctor who truly understands the realistic and rewarding goals of your treatment. You’ll find doctors like that at Nexel Medical and be able to achieve the results you want without causing any harm to your health.